Physicists Ana Claudia Barbosa Aguiar and Peter Read of the University of Oxford in the United Kingdom wanted to see if they could recreate the hexagon in the lab. They placed a 30-liter cylinder of water on a slowly spinning table; the water represented Saturn’s atmosphere spinning with the planet’s rotation. Inside this tank, they placed a small ring that whirled more rapidly than the cylinder. This created a miniature artificial "jet stream" that the researchers tracked with a green dye. All of which begs the question: How does one get hexagonal-like craters on dry rocky bodies? Do dust particles 'electro-statically' adopt the fluid-like jet stream flow patterns? H2O and hexagonal geometry could be the usual suspects. Fluid dynamics is a result not a cause. The cause is incoming charge (ie photons and ions/electrons), the Birkeland current. Hexagons and other polygons can sometimes occur in hurricanes, so astrophysicists believe that fluid dynamics can explain what they call a “mysterious” phenomenon. In 2010 physicists from Oxford University spun a 30-liter cylinder of water, with a ring of viscous green dye inside spinning faster than the cylinder. Their thinking was that a “jet stream” analogue could provide a plausible description of what is happening on Saturn if several factors are ignored. First, they did not produce concentric rings around the hexagon, each with different temperatures. Second, Saturn’s poles are hotter than theories predict. Third, there are aurorae at the poles. Fourth, there is electric charge flow connecting Saturn’s poles to its family of moons. Additionally, the winds in the polar vortex are four times faster than any hurricane, nor does it move around. Such kinetic experiments are insufficient in scope, since electrical effects are not considered. Perhaps the kinetic model should be stood on its head: the polygons in hurricanes should be reevaluated in the light of electrical theories. 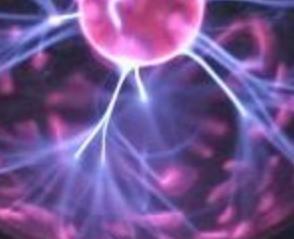 Electricity flowing through plasmas can create a central column surrounded by concentric cylinders, as retired Professor of Electrical Engineering, Dr. Donald Scott proved. Filamentary structures form evenly spaced vortices surrounding the column. As the filaments rotate around one another, a hexagonal cross-section forms inside. to an electrical field, you will see that the stabilizing effect also produces hexagonal boundaries. This image is focused on the root of the filament showing the hexagonal boundary. Surely not Cassini's Final Image. Cassini managed to take a final monochrome image hours before splashdown? I thought hours would have been enough time to take a few more photographs. Maybe even a last photo or two after entering the atmosphere? I read on, to see why that was the last image, when the descent still had hours to go. As if we should consider it normal that they switched the cameras off hours early. But I cannot believe they did. That is just the final image that they are giving us. Then, they also show us this. A natural color view, created using images taken with red, green and blue spectral filters, of the last image taken by the imaging cameras on NASA's Cassini spacecraft. They take color filtered images of the monochrome image, to create a natural color view? They're messing with us, I tell you. It is my understanding, from the public radio discussions, that they turned off the camera when they no longer had enough time to transmit the photos. I understand your point. The images files are big, and take time to transmit. But hours? I expected the last image should have been a partial image, which got cut off when the transmitter failed, or the signal got obscured by the atmosphere. I can't see the point in turning any instruments off during the descent. The instrument, a so-called Langmuir proble, was developed at the Swedish Institute of Space Physics in Uppsala. The upper atmosphere of Saturn is charged and consists primarily of hydrogen and hydrogen ions. The Langmuir probe can be compared with a weather station for electrically charged gas; it measures its density, temperature and velocity. It also measures particles’ energy and moreover gives a rough estimate of what the gas consists of. ”The first results are surprising,” says Jan-Erik Wahlund, IRF, principle investigator and responsible for the Langmuir probe on Cassini. Strong variations in density indicate that the electrically charged part of Saturn’s atmosphere (the so-called ionosphere) has a strong coupling to the visible rings that consist primarily of ice particles. 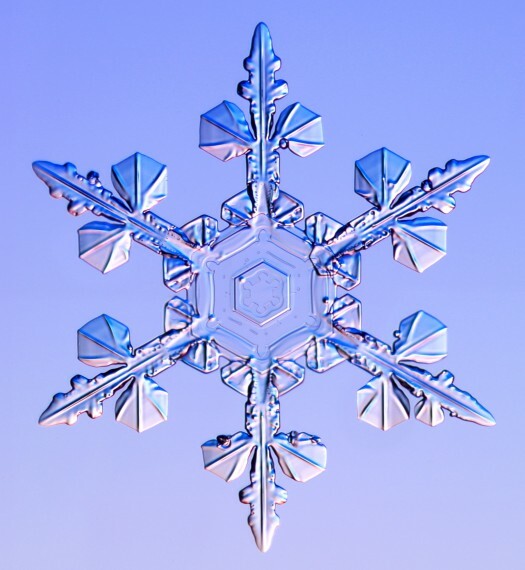 The ice particles are also electrically charged. That is a great discovery and confirmation of Birkeland's model. This century could get known to be the century where most electrical predictions in our direct stellar neighbourhood will be confirmed. According to a new paper from Imperial College , Saturn's magnetic field is refusing to confirm to existing thinking. The findings, which appear in a Cassini end-of-mission results article in Science, show that Saturn's magnetic field has a tilt of less than 0.01 of a degree. Scientists had previously thought that a planet could only form a magnetic field if there is discernible tilt. Earth's, for example, is 11 degrees. Professor Michele Dougherty explained that measuring the tilt itself is also challenging. "Each time we more accurately measure the tilt of Saturn's magnetic field, it gets smaller, until now we are in a position where it is smaller than a hundredth of a degree." The tilt is important because it sustains currents in the liquid metal layer deep within the planet. On Sarth the liquid is iron-nickel surrounding the solid iron core. Saturn's core is thought to consist of a metallic hydrogen layer around it's small, rocky core. There's a possibility that the atmosphere on the planet is obstructing Imperial's magnetometer which was onboard the Cassini probe. However scientists still think this might change how they look at magnetic fields. Saturn might also have more than one way of generating magnetic fields, with a deeper layer made up of liquid hydrogen producing small, stable fields. Even weirder is the discovery that an electrical current flows from the D ring of Saturn to the planet's surface. Despite burning up in Saturn's atmosphere in September 2017 the mission is still yielding interesting data. The Imperial team is also considering combining results from the magnetometer with gravity data to build a more accurate picture of the size, mass and density of Saturn's core. While it's unusual to hear scientists describe things as weird, but Saturn's mysteries do often give experts some real head scratchers. Saturn's Rings are a mini Spiral Galaxy? "...One goal was to probe the roots of the powerful winds that whip clouds on the gas giants into distinct horizontal bands. Scientists assumed the winds would either be shallow, like winds on Earth, or very deep, penetrating tens of thousands of kilometers into the planets, where extreme pressure is expected to rip the electrons from hydrogen, turning it into a metallike conductor. The results for Jupiter were a puzzle: The 500-kilometer-per-hour winds aren't shallow, but they reach just 3000 kilometers into the planet, some 4% of its radius. Saturn then delivered a different mystery: Despite its smaller volume, its surface winds, which top out at 1800 kilometers per hour, go three times deeper, to at least 9000 kilometers. “Everybody was caught by surprise,” Iess says. 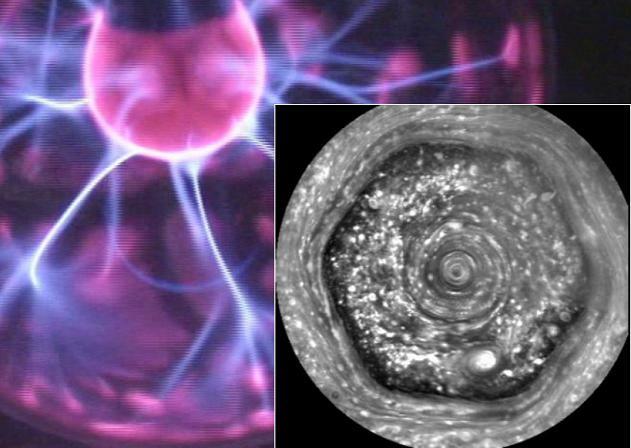 "Scientists think the explanation for both findings lies in the planets' deep magnetic fields. At pressures of about 100,000 times that of Earth's atmosphere—well short of those that create metallic hydrogen—hydrogen partially ionizes, turning it into a semiconductor. That allows the magnetic field to control the movement of the material, preventing it from crossing the field lines. “The magnetic field freezes the flow,” and the planet becomes rigid, says Yohai Kaspi, a planetary scientist at the Weizmann Institute of Science in Rehovot, Israel, who worked with Iess. Jupiter has three times Saturn's mass, which causes a far more rapid increase in atmospheric pressure—about three times faster. “It's basically the same result,” says Kaspi, but the rigidity sets in at a shallower depth. "The Juno and Cassini data yield only faint clues about greater depths. Scientists once believed the gas giants formed much like Earth, building up a rocky core before vacuuming gas from the protoplanetary disc. Such a stately process would have likely led to distinct layers, including a discrete core enriched in heavier elements. But Juno's measurements, interpreted through models, suggested Jupiter's core has only a fuzzy boundary, its heavy elements tapering off for up to half its radius. This suggests that rather than forming a rocky core and then adding gas, Jupiter might have taken shape from vaporized rock and gas right from the start, says Nadine Nettelmann, a planetary scientist at the University of Rostock in Germany. "Because Cassini's mission ended with the Grand Finale, which culminated with the probe's destruction in Saturn's atmosphere, “There's not going to be a better measurement anytime soon,” says Chris Mankovich, a planetary scientist at the University of California, Santa Cruz. But although the rings complicated the gravity measurements, they also offer an opportunity. For some unknown reason—perhaps its winds, perhaps the pull of its many moons—Saturn vibrates. The gravitational influence of those oscillations minutely warps the shape of its rings into a pattern like the spiraling arms of a galaxy. The result is a visible record of the vibrations, like the trace on a seismograph, which scientists can decipher to plumb the planet. Mankovich says it's clear that some of these vibrations reach the deep interior, and he has already used “ring seismology” to estimate how fast Saturn's interior rotates. "Cassini's last gift may be to show how fortunate scientists are to have the rings as probes. Data from the spacecraft's final orbits enabled Iess's team to show the rings are low in mass, which means they must be young, as little as 10 million years old—otherwise, encroaching interplanetary soot would have darkened them (Science, 22 December 2017, p. 1513). They continue to rain material onto Saturn, the Cassini team has found, which could one day lead to their demise. But for now they stand brilliant against the gas giant, with more stories to tell." Of course Jupiter's core is 'fuzzy'. So is the core of every other body in the universe. Watch this, and see if you can extrapolate the idea to planet size.